Lately, I’ve felt like my eyes are about to pop out of my head with all the GORGEOUS wrapping that’s been doing the rounds. 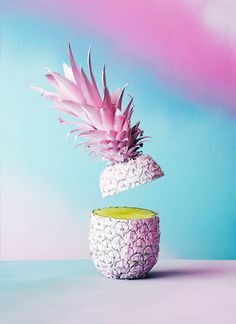 Have you seen the stuff on Pinterest? Totally my kind of eye-candy… I could drool over that stuff for days. 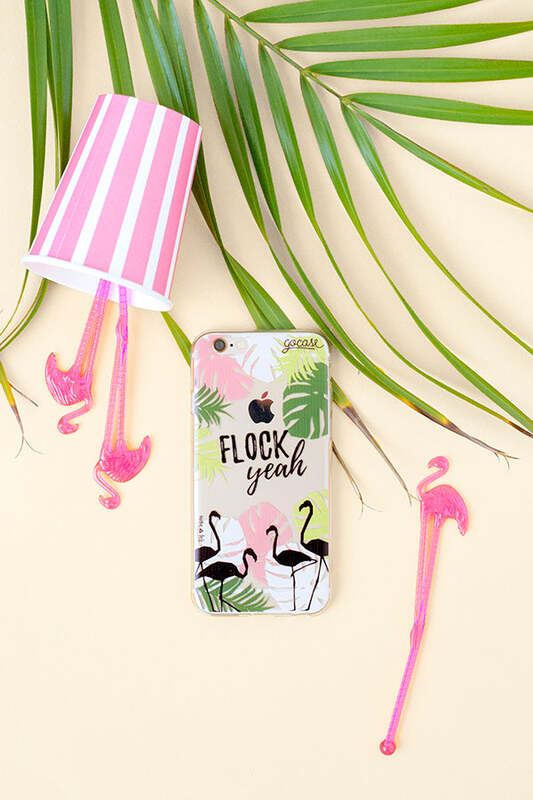 So when I was contacted by Rachel from Lines Across to be part of her Gift Wrap Blogging Series, I jumped right on board that train! 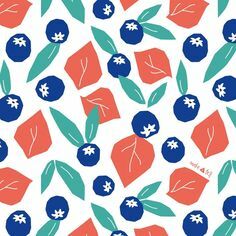 This fall, she launched Let’s Wrap Stuff, a website devoted to all things gift wrap related. 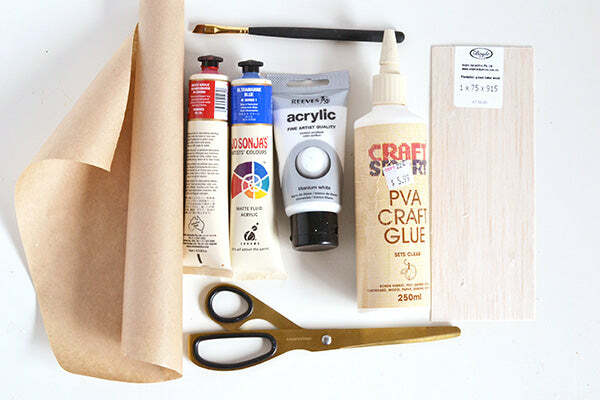 To celebrate its launch, Rachel challenged me and a select group of talented bloggers to come up with a creative gift wrap idea using plain kraft paper. 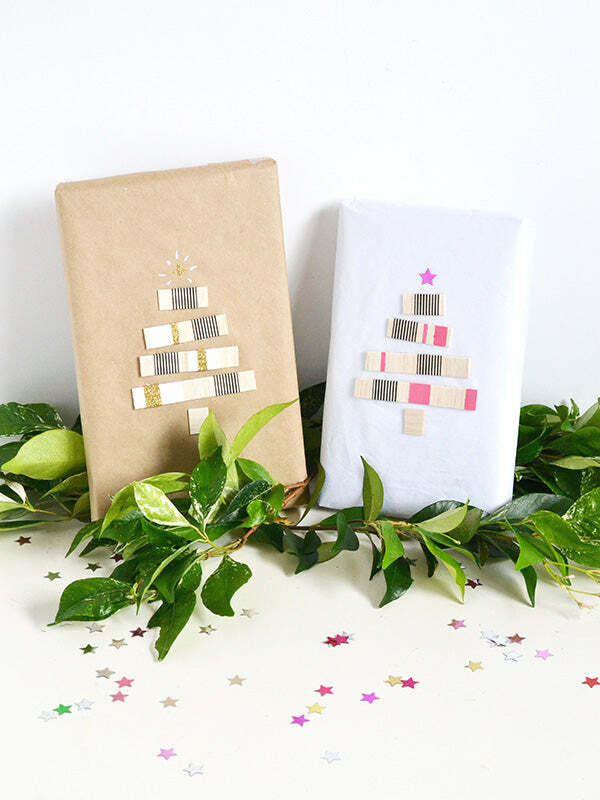 The challenge was to creatively wrap a plain brown or white paper package… um, hellooo ALL the possibilities. For awhile I was just stumped with the many directions you could take this. Then I finally settled on an idea and here we are! I’m totally stoked to be joining with some of my fave bloggers to share some festive gift wrapping with you today. Don’t forget to hop on down to the end of this post to see what everyone else came up with for the challenge… there’s so many wonderful ideas in there you’ll be set for many Christmases to come! 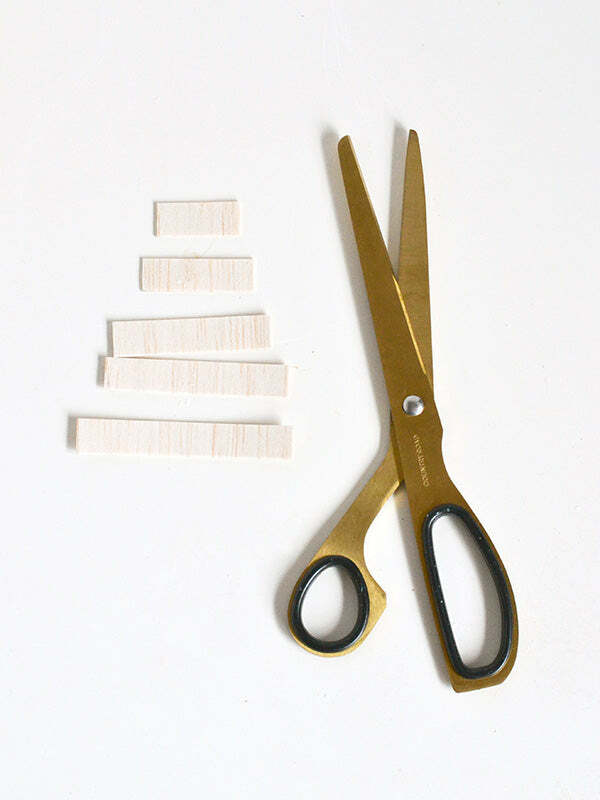 Cut your balsa wood into strips (mine were just over a 1cm in width) using a pair of scissors If you’re a bit of a perfectionist like me, you can measure out the strips first using a pencil and ruler. Or you can wing it – a little variation in width would suit the look of the trees just fine. Initially, the strips will all be the same length. 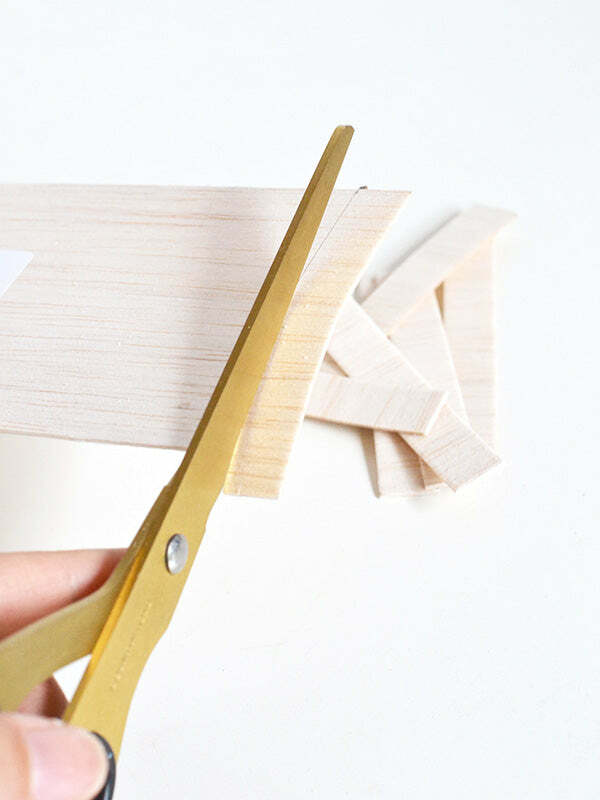 Assemble them one above the other and trim bits off the ends so that each strip is shorter than the one below it. 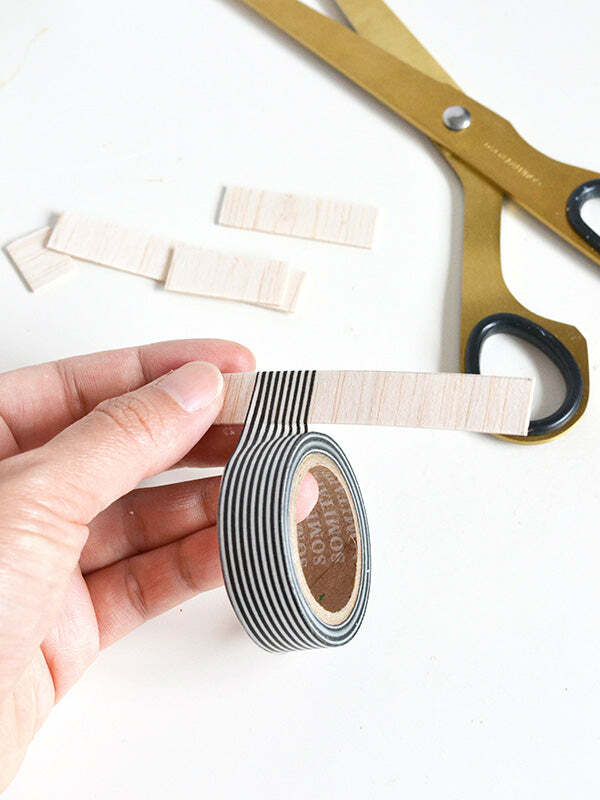 As you trim, your strips should start to form a tree shape. 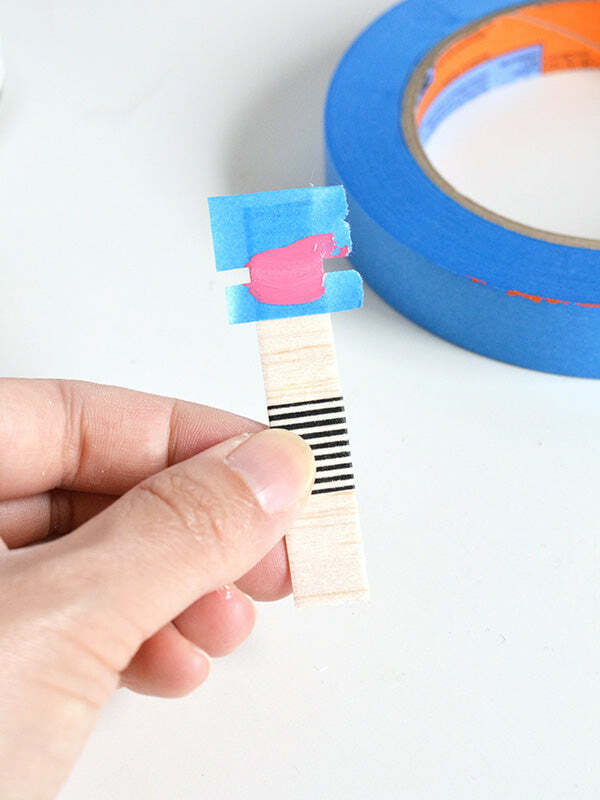 Once you’ve cut all the strips to size, it’s time to decorate them! 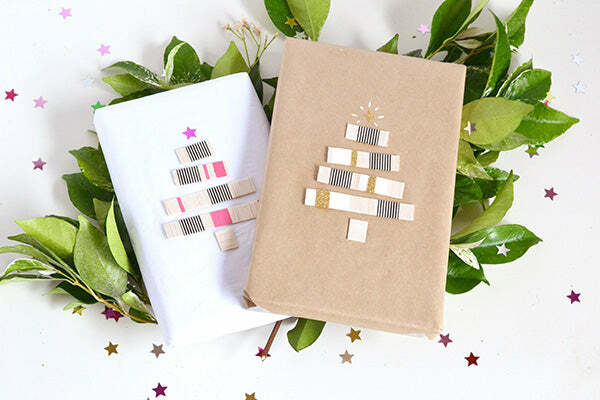 I used striped washi tape initially, applying a bit here and there to add some pattern to my trees. I also added some pink paint for colour. If you’re going to paint in stripes like I did, mask off each section you want to paint with painter’s tape and then use a small paint brush to add your colour. 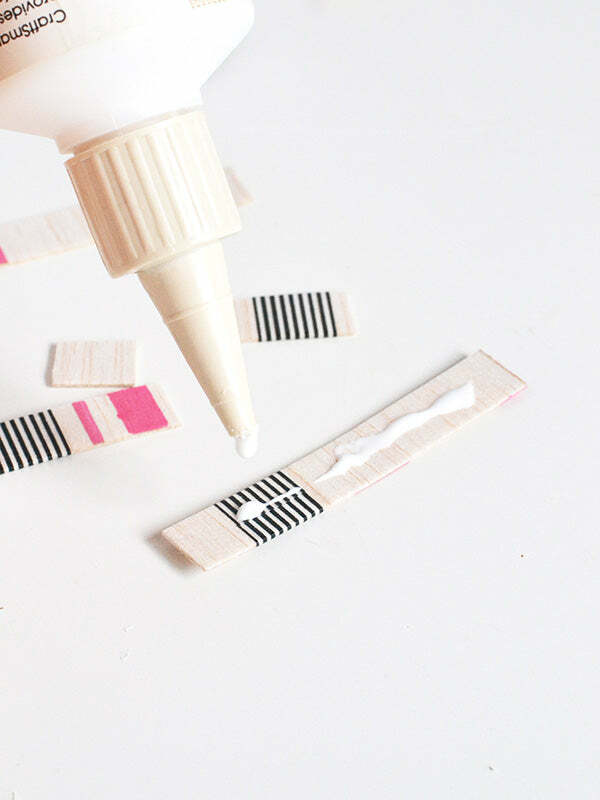 Once your strips are decorated, add a bit of PVA/wood glue to the back of each one. Then stick them down onto your gift in the shape of a tree. 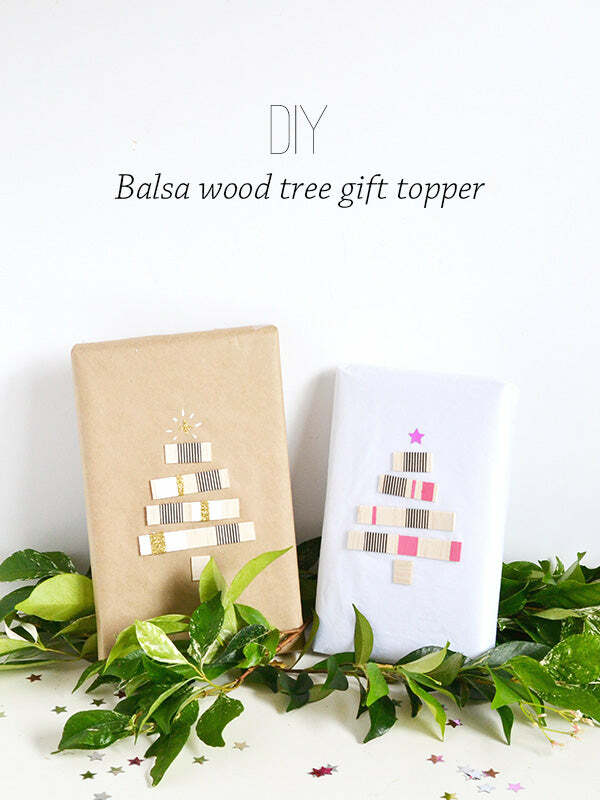 To finish things off, use a small off-cut of balsa wood at the bottom to make the tree trunk and glue a sequin star at the top. 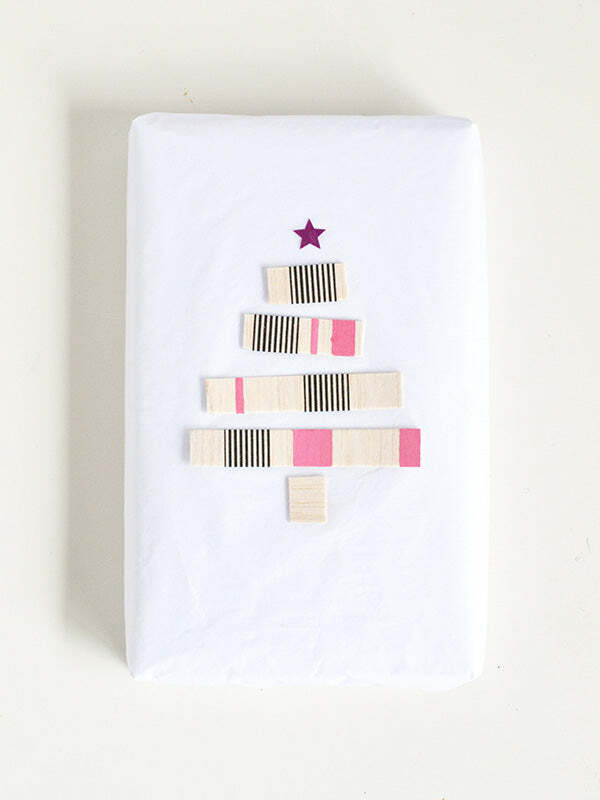 Pingback: 24 Gift Wrapping Ideas - C.R.A.F.T. These are darling!! I would cry to have them unwrapped and tossed- I’d definitey have to save the paper and put it in a frame for the next year! And all of those projects look amazing…what an impressive group. Great job all!! These are just beautiful (and I love the photos as well!!!). I’ve never worked with balsa wood before but it seems like such an easy way to get that beautiful natural wood look. I especially love the black, white, and gold one! Thanks for sharing and for being a part of the series! 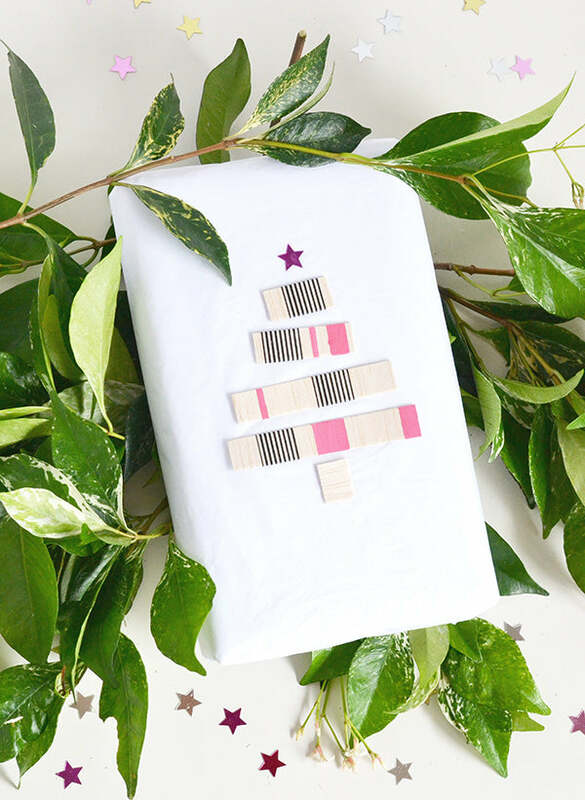 Pingback: 20 Easy & Beautiful Christmas Gift Wrapping Ideas - Frugal Mom Eh!